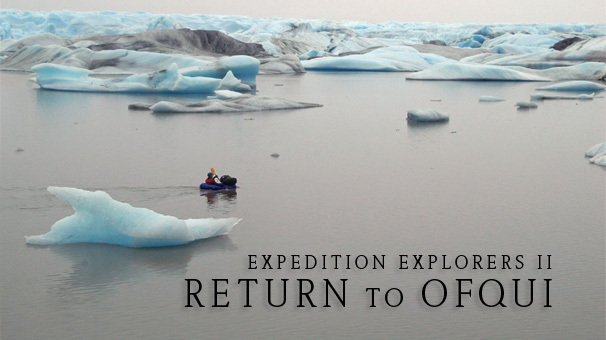 Thanks to a cozy cottage of Zapato Amarillo it took us much less time this year to prepare a write up about our last expedition to glaciers of Northern Patagonian Ice Field - Expedition Explorers II - Return to Ofqui. And once again Alpacka rafts allowed us to go where it was not possible to go before. It was our biggest adventure yet with first descents of glacial run-off rivers, visits to five very remote glaciers, some visited only by a handful of people and two that may never have been visited by anyone and are yet unnamed. You can read about it at our website (link below). We hope you all enjoy the text and photos. Thank you for sharing a great adventure story with us! Ditto thanks, and I love your website!